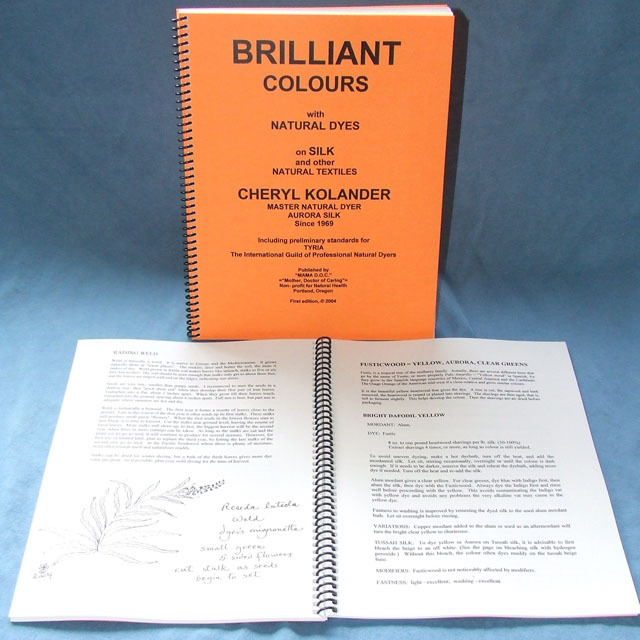 An encyclopedia of information about natural dyes. Includes a discussion of all the Aurora Silk natural dyes of commerce; instructions on how to use them; fastness ratings and certification by TYRIA, the Natural Dyer’s Guild; the Philosophy of Natural colours; and much more. Easily learn the simple techniques of Cheryl Kolander, Master Natural Dyer of Aurora Silk, from her 40 years of daily professional dyework and 35 years of teaching the art.